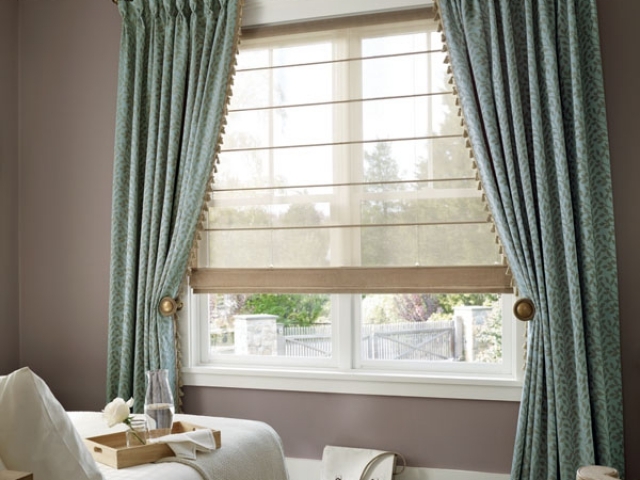 Roman Shades are soft beautiful shades that add elegance to your home. 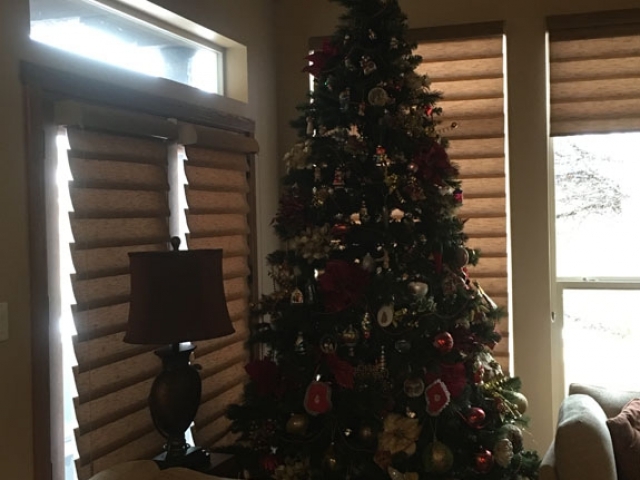 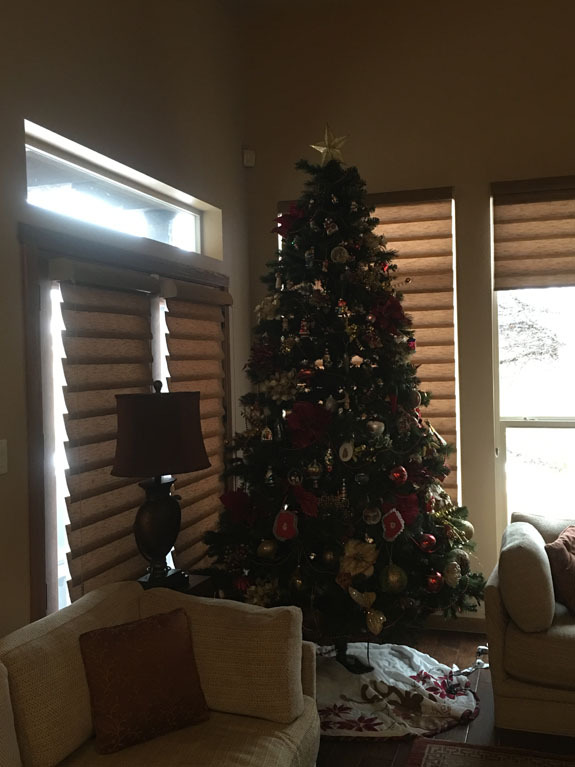 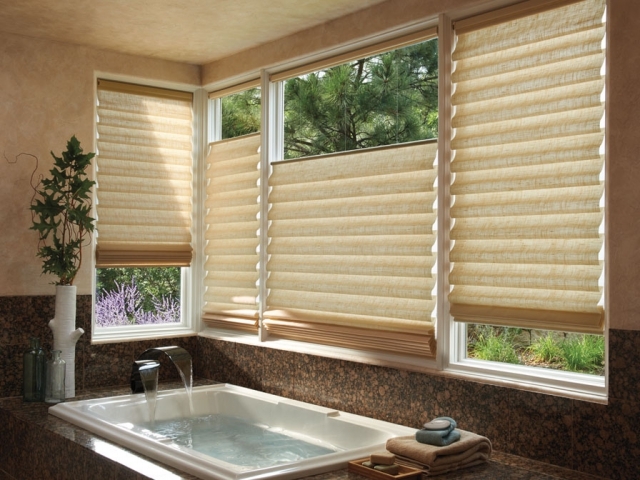 Roman Shades can be made with a variety of fabrics and typically look like a soft valance when they are raised. . Hunter Douglas has an exclusive Modern Roman Shade called Vignette.Vignette has the look of a Roman Shade and has options that are not always available with Roman Shades. 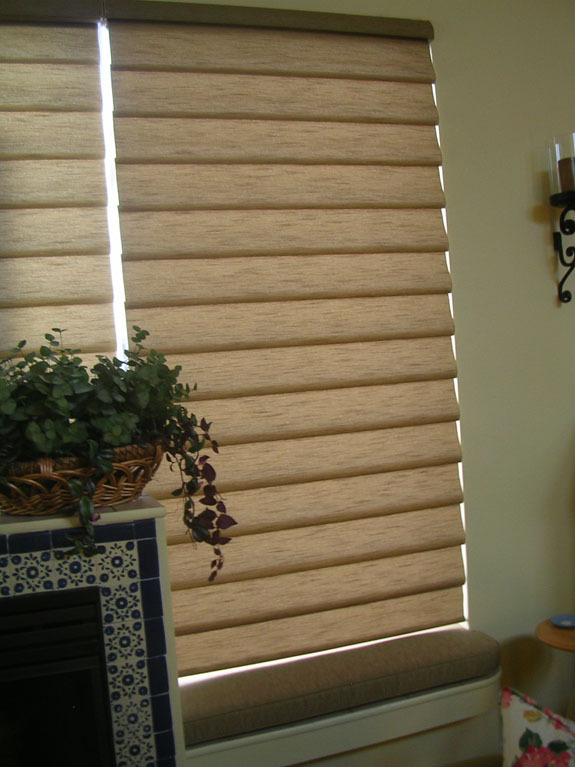 The Vignette can be made with top down bottom up, Ultraglide retractable cord, Literise cordless, and motorized with Powerview. 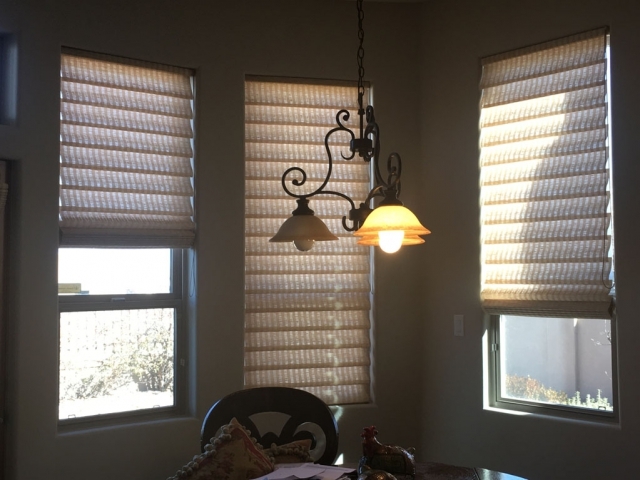 The Vignette can be fabricated with a tiered stack or traditional headrail where the shade will roll into the headrail to allow for maximum view. 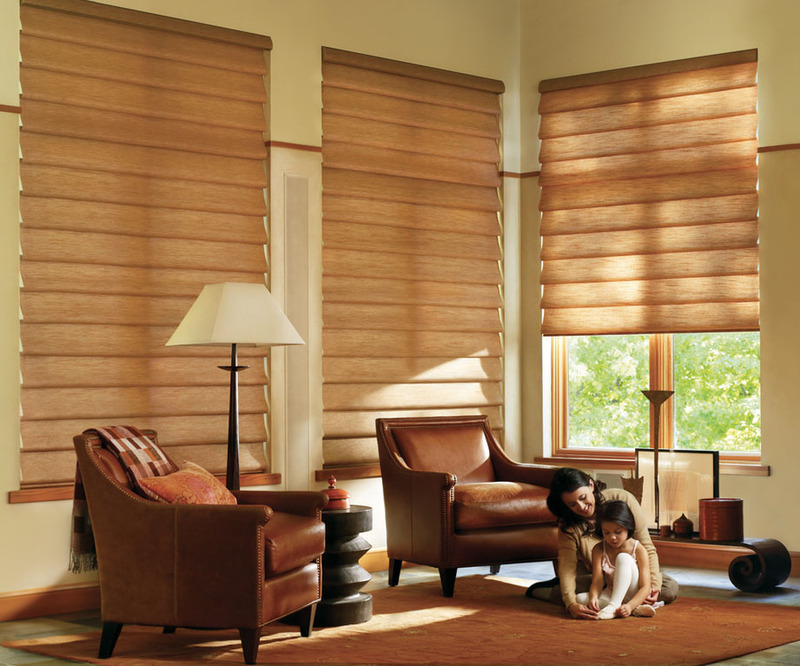 Vignette has enhanced child safety systems in the cords that operate the shades, as well as eliminating the cord on the back of the shade. 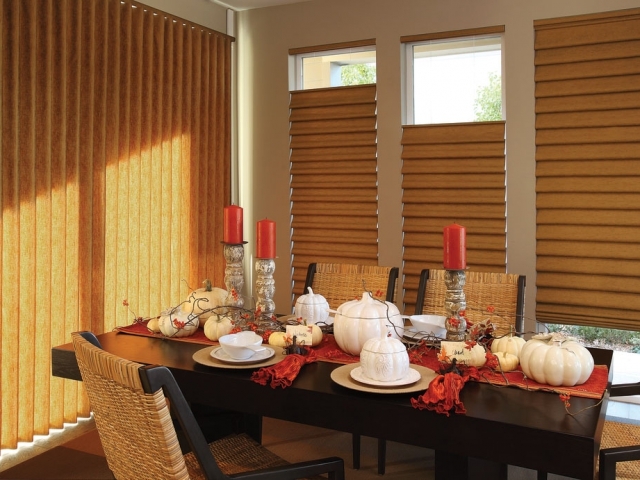 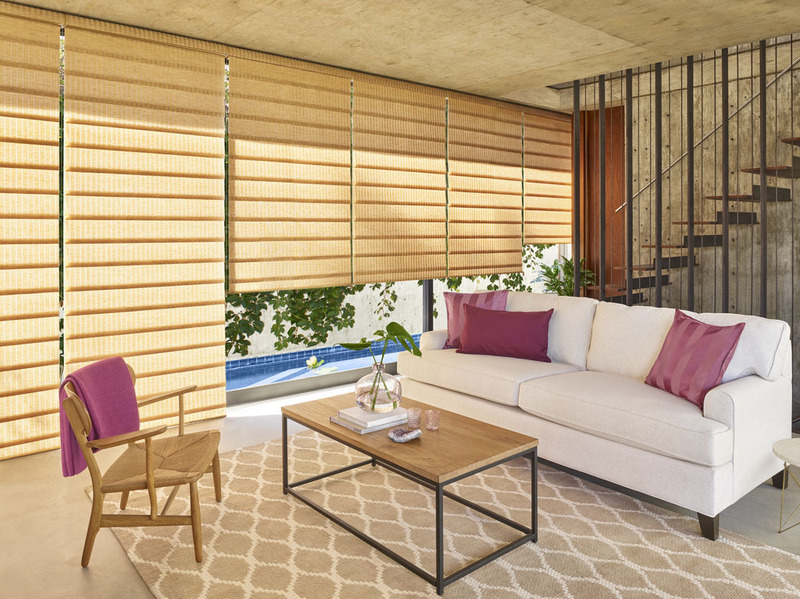 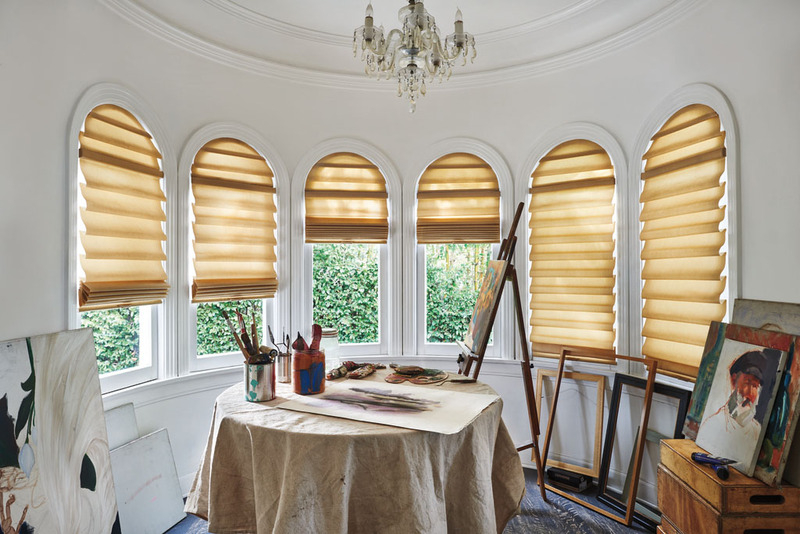 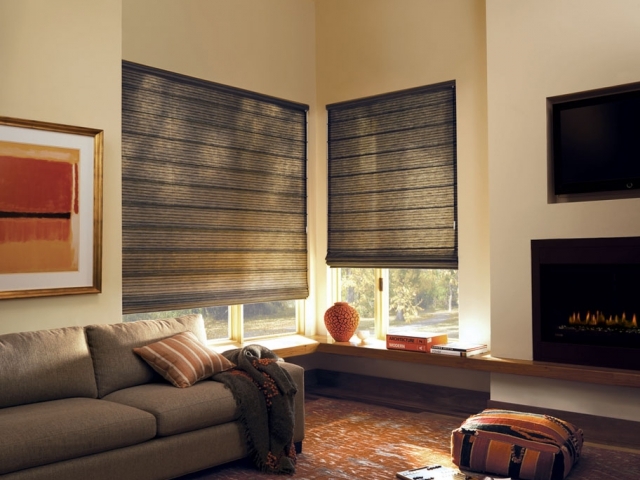 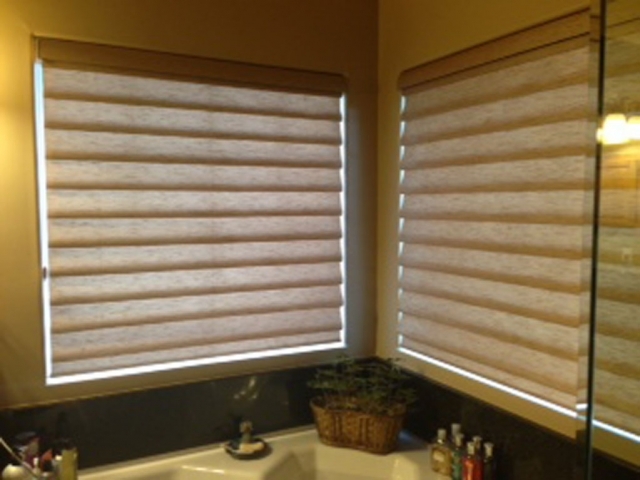 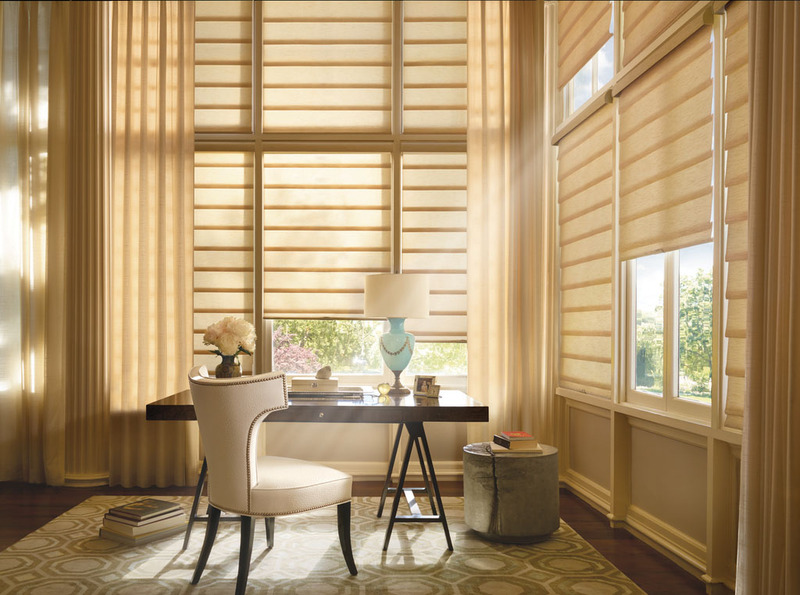 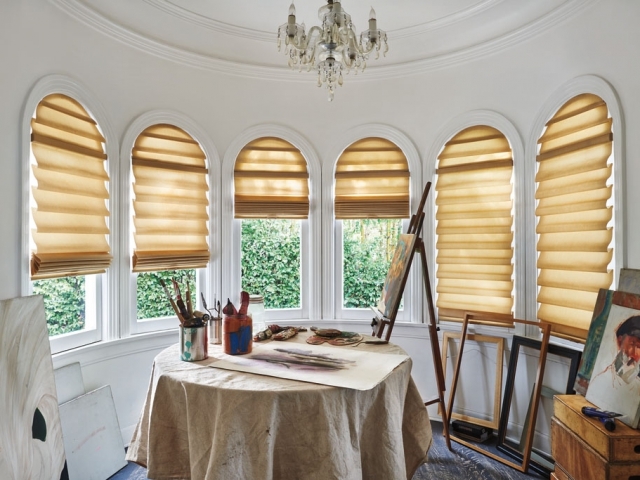 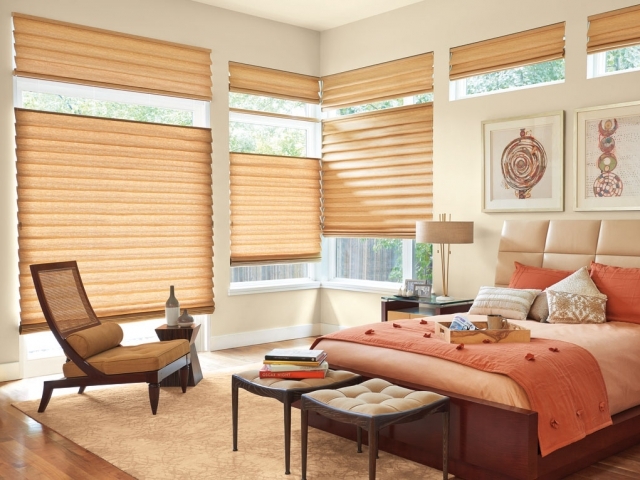 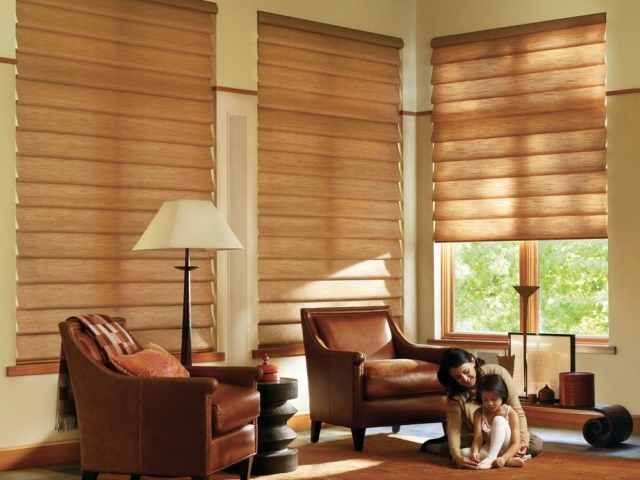 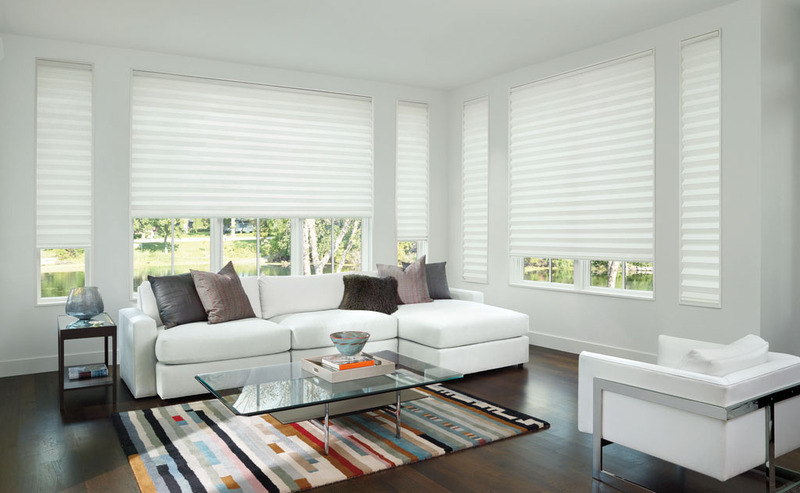 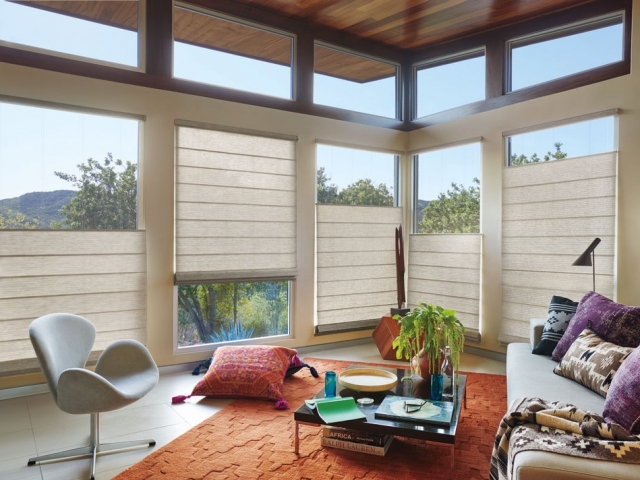 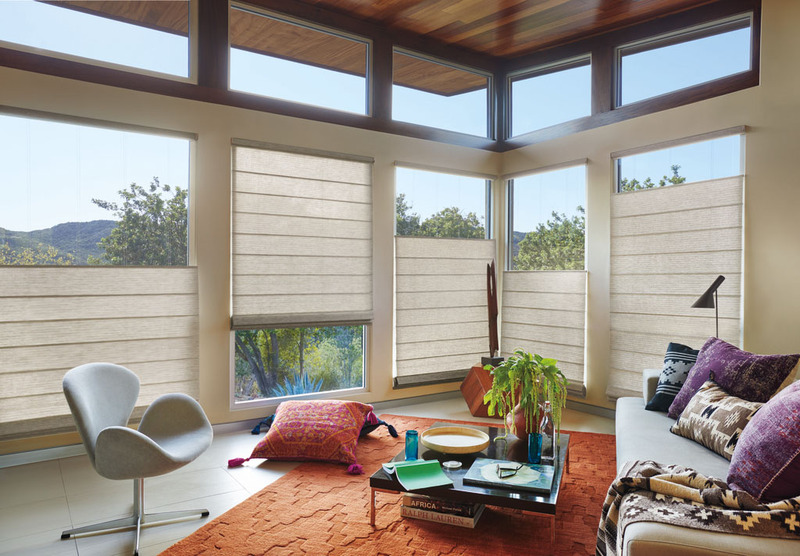 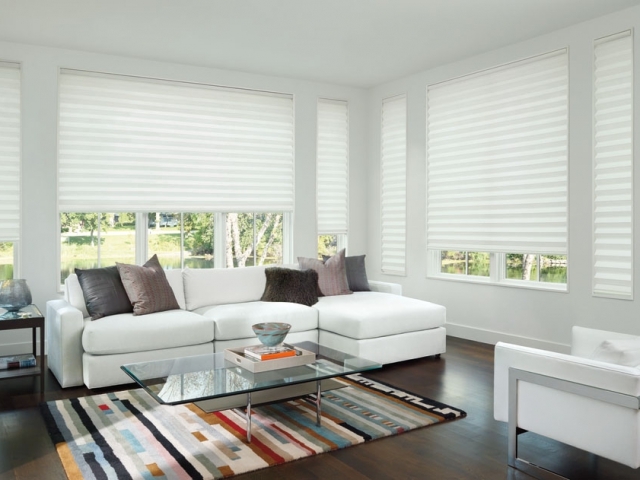 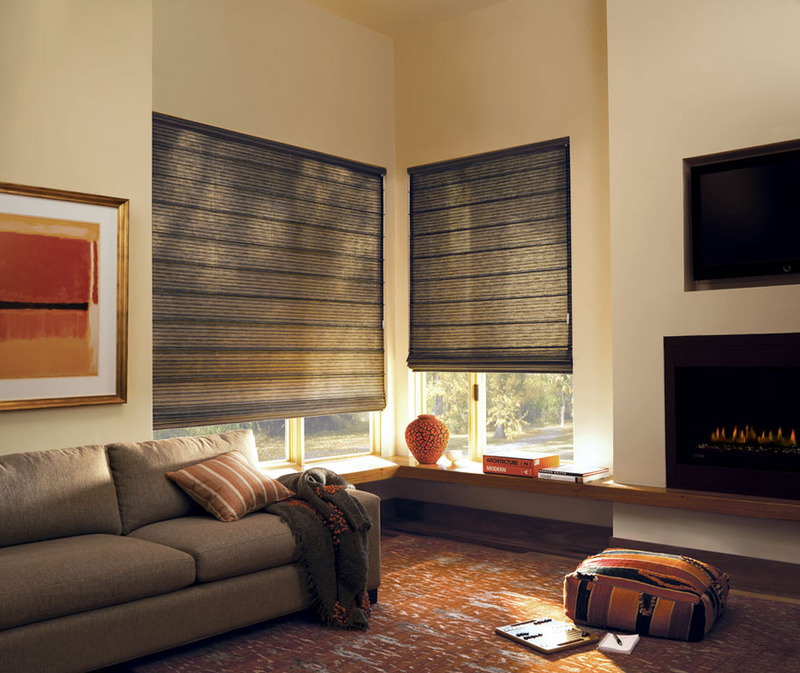 Hunter Douglas also has other Roman Shades such as Design Studio and Woven Textures. 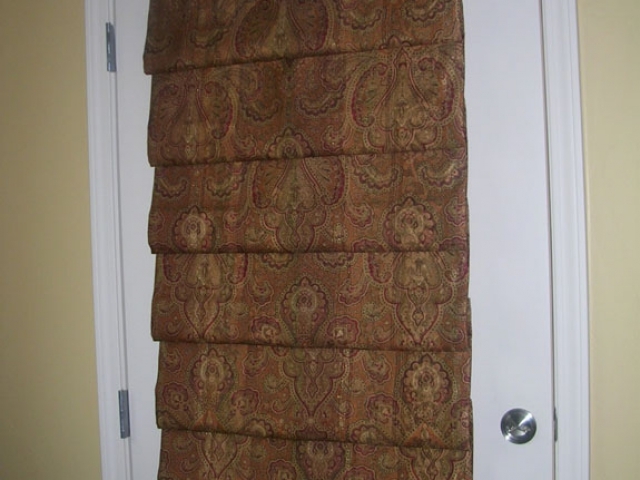 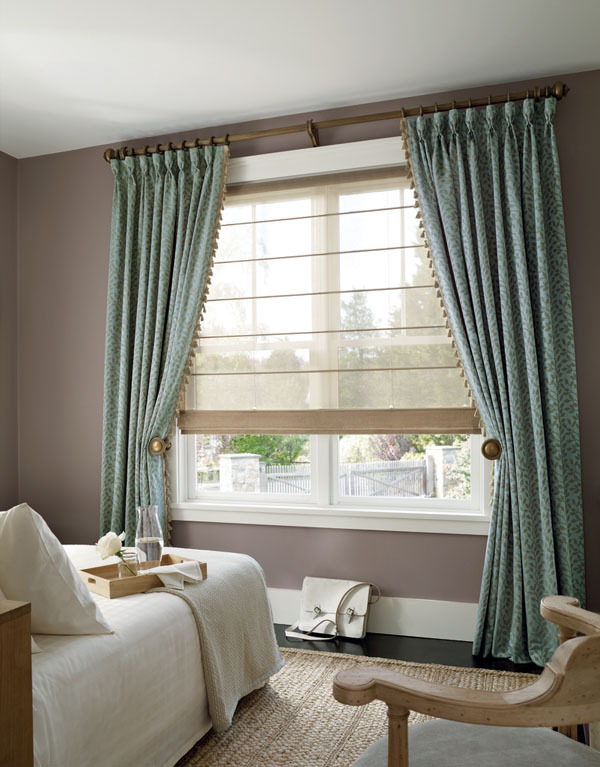 Custom Roman Shades are also available that can be fabricated in my drapery workroom. 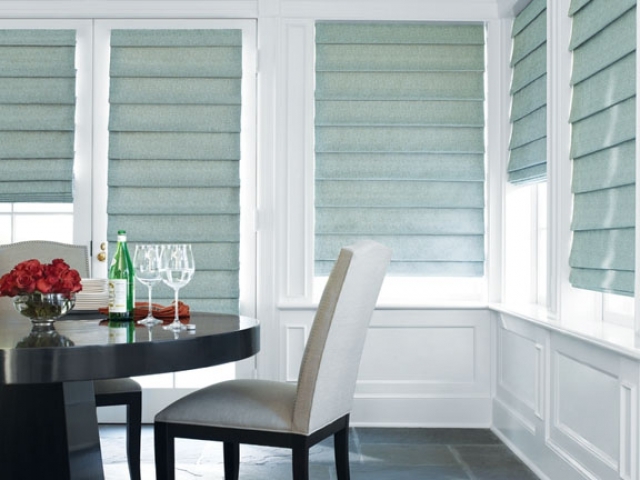 I have fabrics available from top fabric companies that can be made into flat, reverse fold, hobbled, and relaxed Roman Shades. 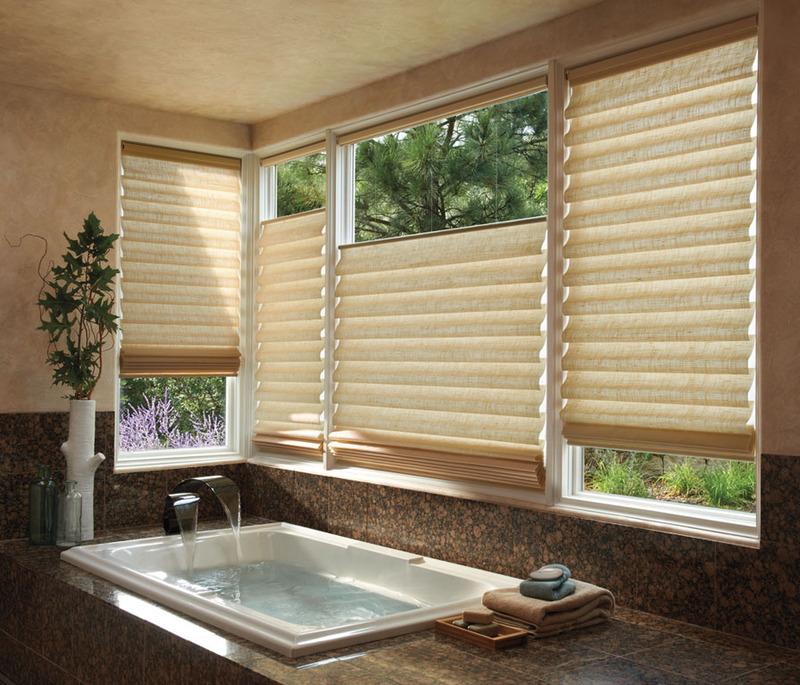 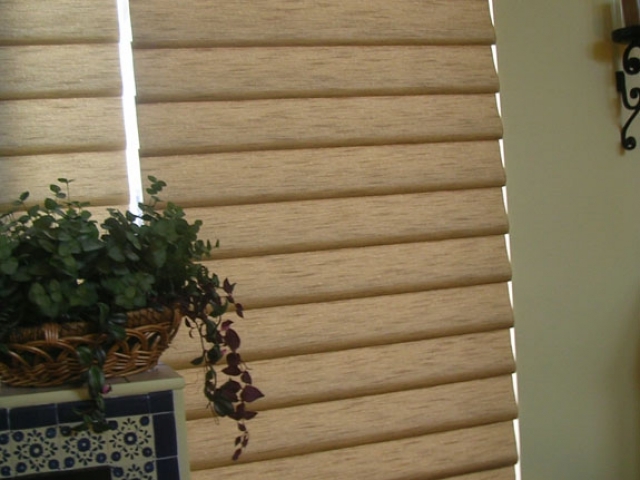 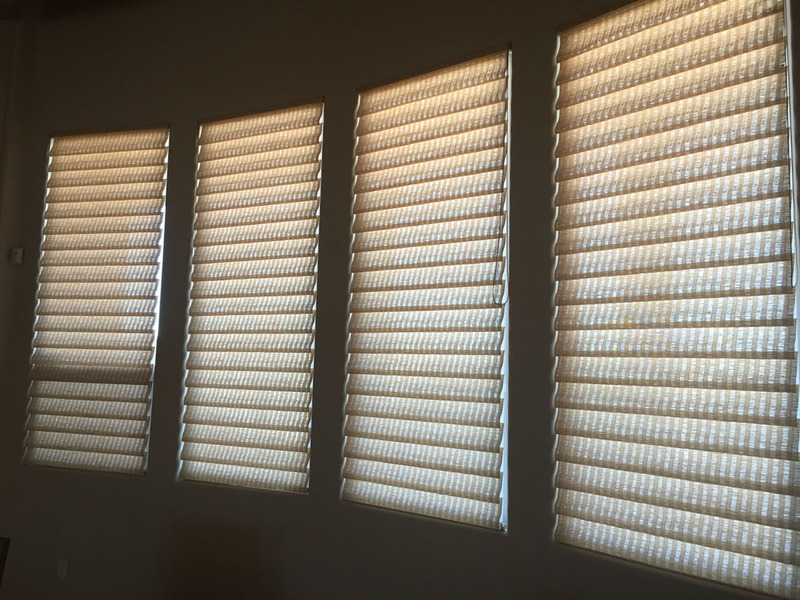 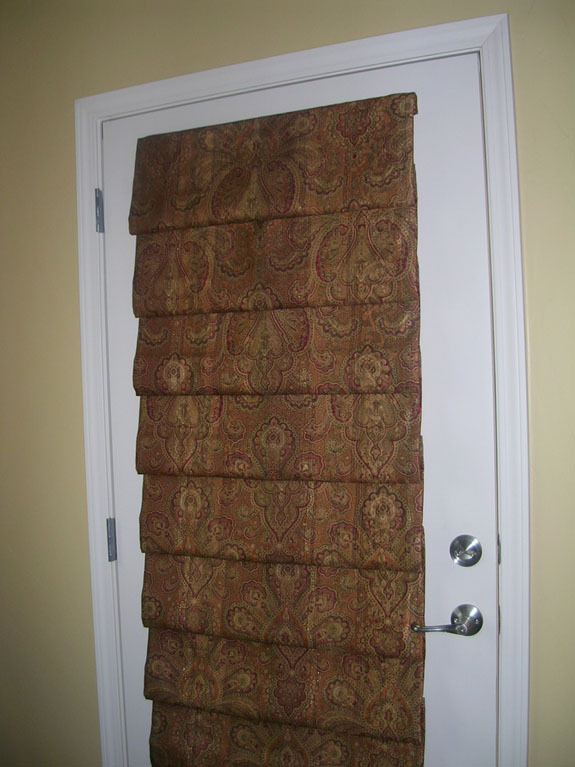 Roman Shades are very versatile and can provide privacy, insulation, and light blockage.